I have already Posted EgglessCrisp Almond Pistachio Biscotti. I prepared this for Home Bakers challenge. This month Priya Suresh is hosting the event and she has selected Biscotti varieties as a challenge. 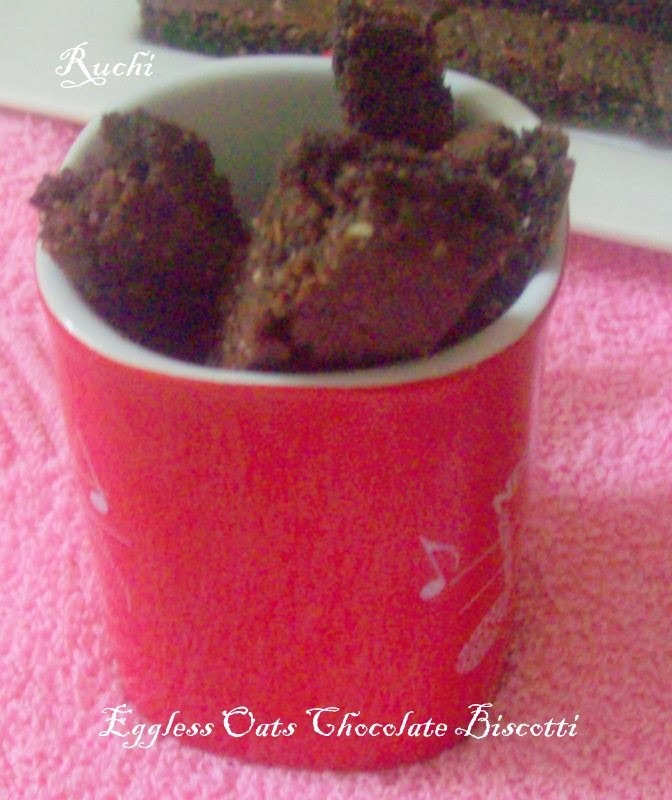 Though she had suggested both spicy and sweet version; I preferred to bake the Oats Chocolate Biscotti with Oats which came out so crunchy and delicious. In this biscotti I didn’t add coco powder & salt. 1. Mix together flour, oats, baking powder, baking soda, salt and cocoa powder. (I dint add cocopowder & salt). 2. Meanwhile whisk together the butter, sugar until Fluffy . Then Add in the melted chocolate,vanilla extract and give a quick stir. 4. Divide the dough into two portions. Roll each portion into a log and place it on a greased baking sheet. 5. Preheat the oven to 180degree Bake the log for 20-25minutes. Cool it for 10minures. 6. With a sharp knife, slice it diagonally as 1inch pieces or roughly to get around 15-20pieces from the log. 7. Bake it again for 5 minutes. Flip the biscottis and bake again for another 5 minutes. 8. Let them cool completely. Conserve it in a air tightened box. 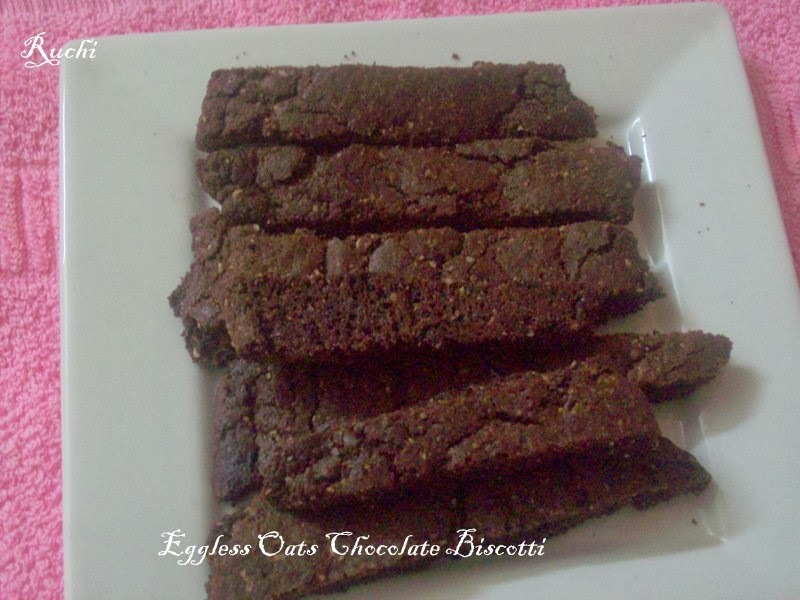 Wow...biscotti looks crunchy and delicious!!! love it!!. Happyt to follow your blog; do visit mine when you have time.